Pinterest always serves up an enviable treasure trove of inspiration for all aspects of your life, especially weddings. 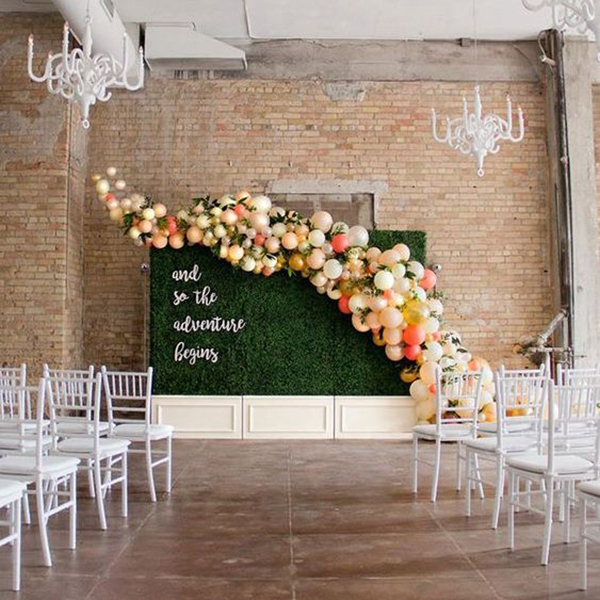 They recently released their trend report for 2018, and here are the ideas we were excited to see in weddings. 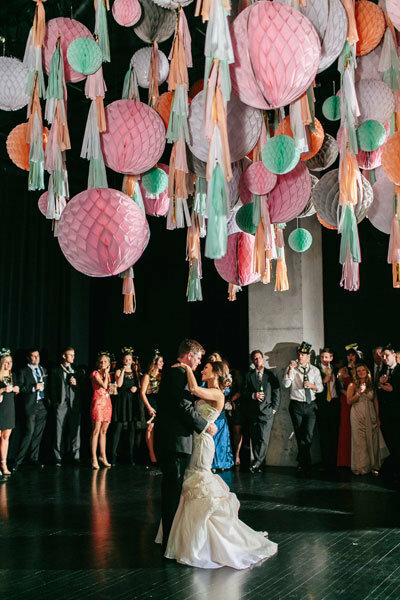 Balloons add a whimsical touch to your wedding, and this year, we're expecting to see more "filled balloons" — with glitter, confetti, and even foliage next year. 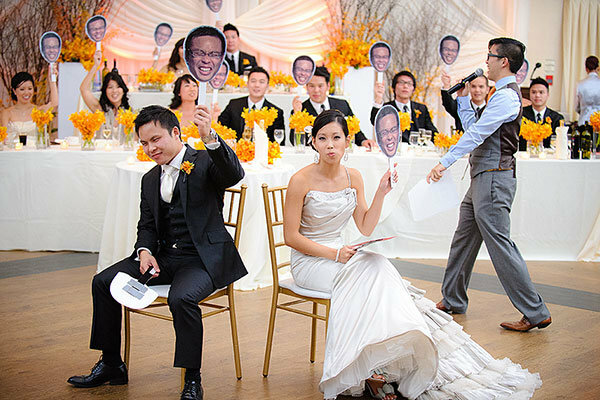 Your desired wedding date doesn't match up with your favorite season? That's okay, according to Pinterest — one of the hottest décor trends for 2018 was to transform seasonal items for year-round use (think pink-painted pumpkins for spring, summer wreaths, and Christmas in July parties). 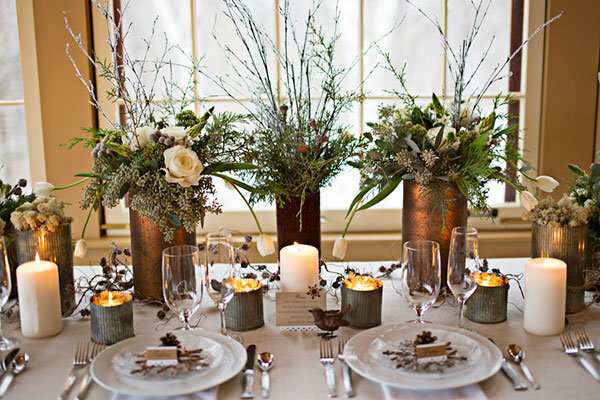 Using metallics is a growing trend for home décor that crosses over to weddings as well. In the past, couples would choose to accent with just one shade, but now, mixing silver, gold, copper, and rose gold is hotter than ever. A statement ceiling really transforms any space, whether it's your reception hall or your own living room. 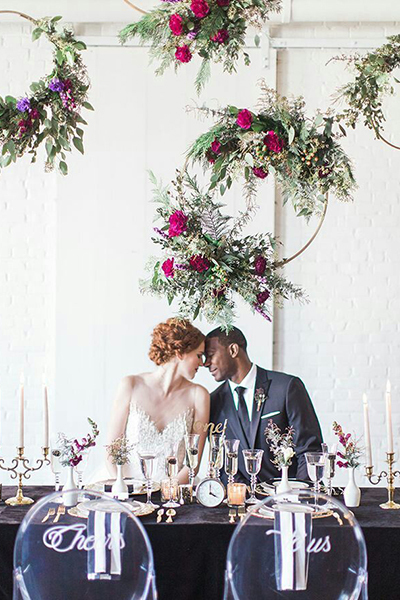 Draw the eyes up with lush flowers, creative lighting, draped fabric, or a statement décor piece. This soft, earthy green is the new neutral. 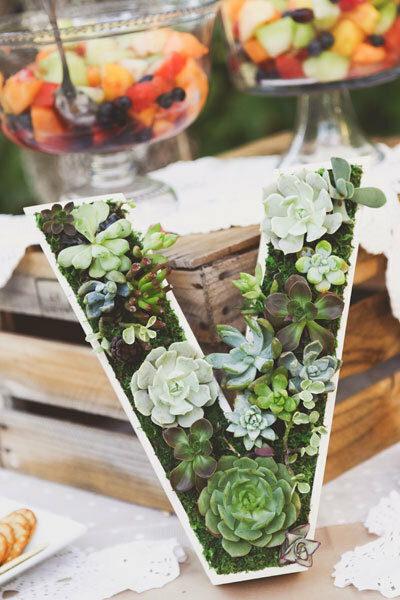 Use it in your florals (succulents are a popular choice) or your bridesmaid dresses. Trivia night is back — if you love a good game night, try adding a fun game to your reception or bachelorette party. 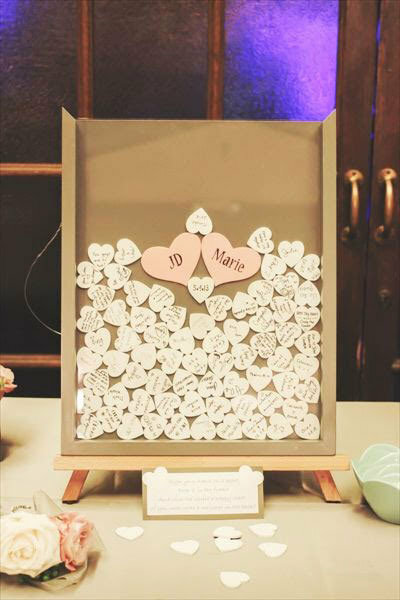 We've long been fans of the non-traditional guest book, and this trend really grew in 2018. 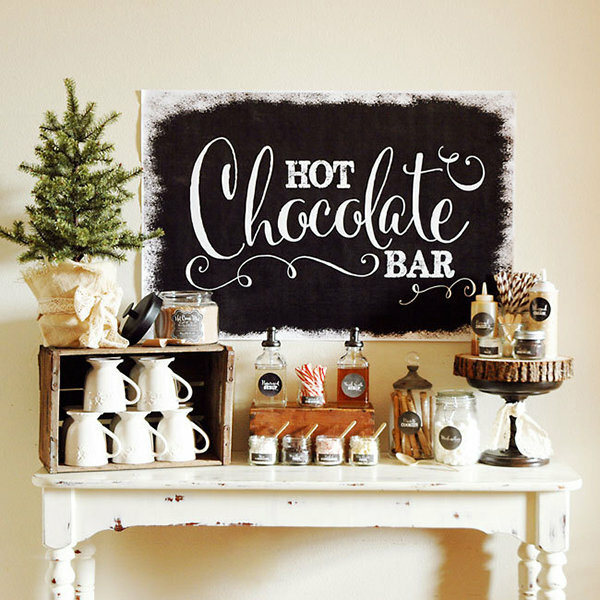 Make your menu more interactive with do-it-yourself options, like a make-your-own taco bar or a hot cocoa station with plenty of fixings. 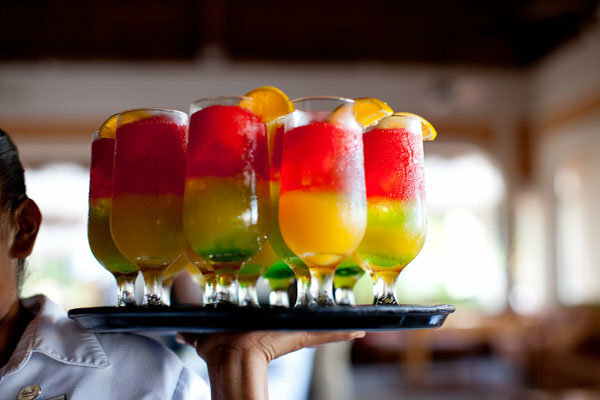 Whether you're trying to keep your wedding kid-friendly, or you just want some fun drinks that don't rely on booze, searches for virgin cocktails are up big time. Moroccan cuisine is having a moment right now. Turn up the heat with North African spices including cumin, coriander, and cardamom. 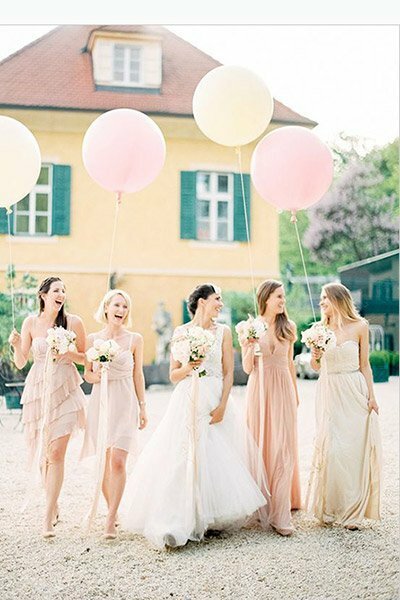 Tell us: Which of these trends will you be incorporating in your wedding?